Sarah Bettey Photography: I'm Baaacccckkkk! On April 1st I gave birth to a beautiful baby boy, Sawyer Edward. Since then I have been adjusting to mommyhood, and craving to get out with my camera. I will post when I can, and when I have something new to share. I may occasionally also just post a favorite from the past few years of blogging to reintroduce some of my older photos. 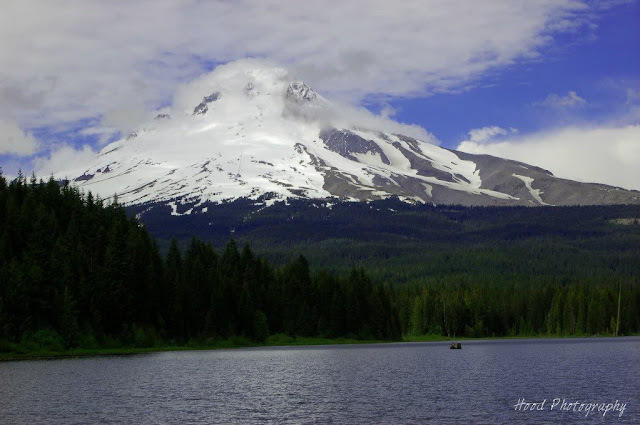 Todays photo was taken over the weekend from Trillium Lake. I love how the clouds wrapped around the mountain. Congratulations!!! Good to see you back with a gorgeous photo! Congratulations on the new addition to the family. The photograph is lovely. YAY, so happy you're posting again. Can't wait to see more great pics! Whooo hoo! Yay for the baby, yay for posting! Beautiful as always! Great photo! I wish you to find time for your hobby as soon as possible. Congratulations on the son! Welcome back! Congrats to the entire family! Sons are swell, I'm hear to tell you, honey. Thanks for another beautiful photo of the mountain. I was thrilled to see it still out this evening on my way home from a book event at the Oregon Historical Society downtown. WOW...breathtaking. Thank you for sharing. Happy WW!!! Congratulations on the birth of your son, Sarah! Please pass along a word of welcome to young Sawyer Edward. This is my first visit to your blog, and the few pics I've seen so far are truly spectacular. But those marvels pale in comparison to the rich blessing of bringing a life into this world. Best wishes to your family, and may he grow up to bring you lots of smiles and tons of blessings. Congratulations to you and your family!!! Thanks for visiting MammothLakesDP! Beautiful scene. You are in summer and yet you still have snow too. Breathtaking and heavenly view! I would love to be there!